Upon waking early in the morning, the first thing everyone did was check to see if the rain had abated. The forecast was calling for the rain to taper off by mid-morning, but because it is a long hiking day with a big uphill portion to start, most people were out the door by 830am. I waited until 10am, and by then the rain had slowed to showers. I didn’t want to wait too long, as I wanted to get the big effect of the rain on everything as well. It didn’t take long for me to see it. This area, the day before, had dry grass. It was now below well over 30cm of water. 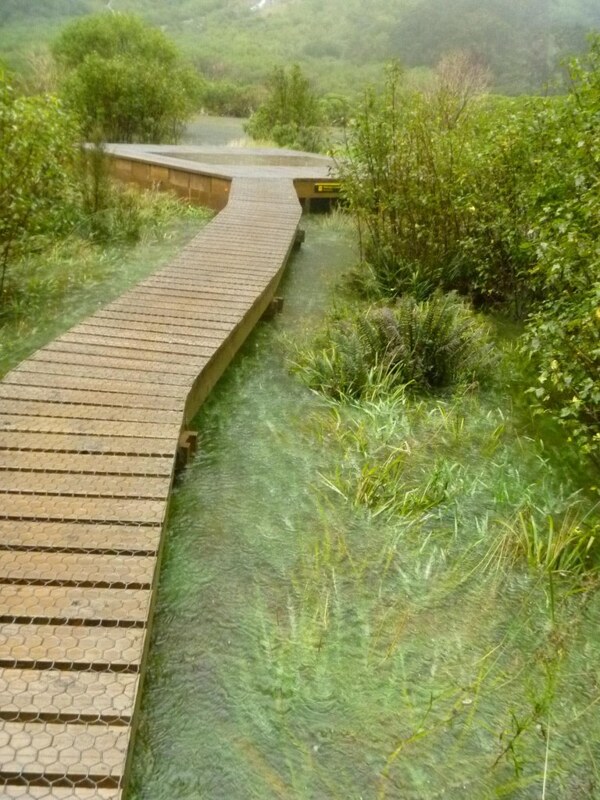 And then you have to cross the Clinton River. 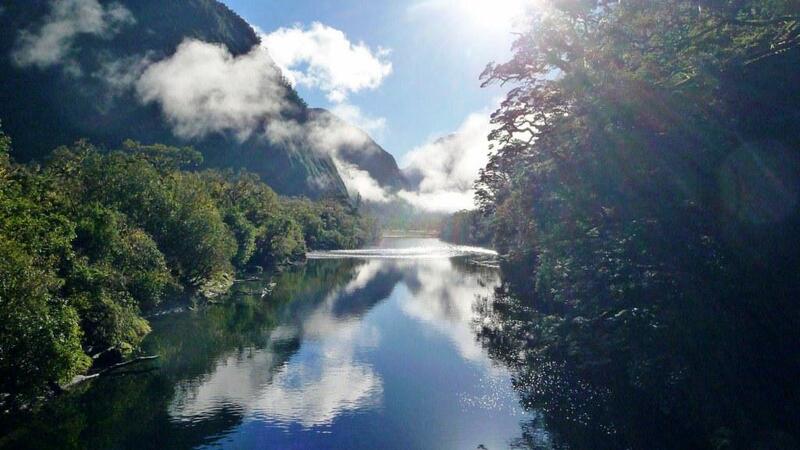 Remember yesterday’s relaxing little river? Now it was a raging torrent of water. And then there was the climb. 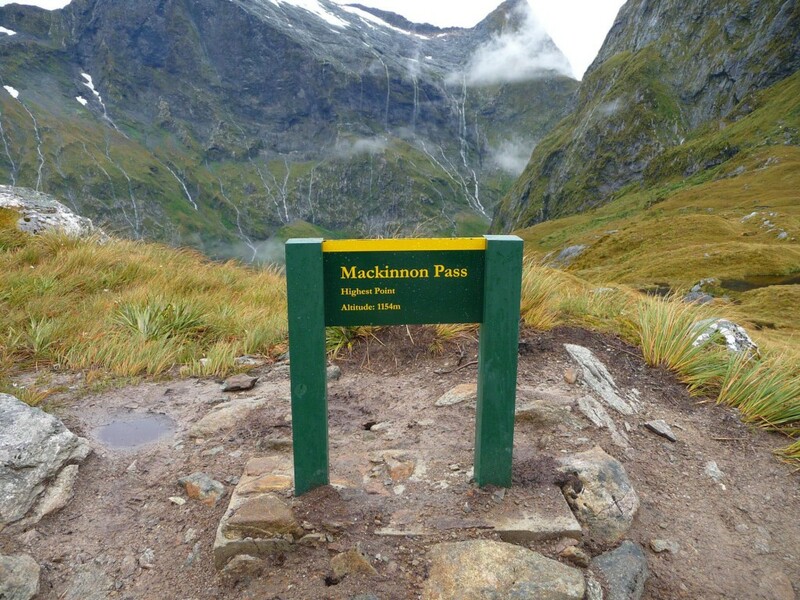 To get up to the Mackinnon Pass on the third day, you hike up the end of the Clinton Valley. 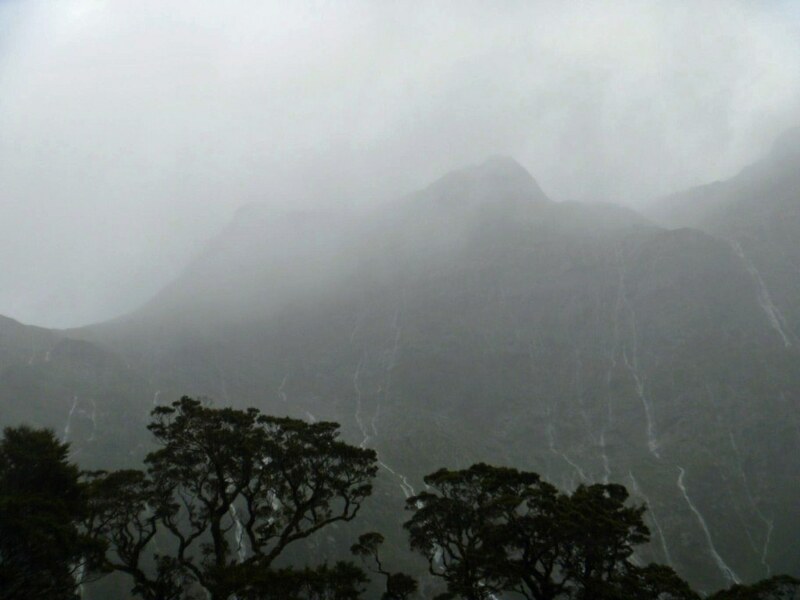 With all the rain, it added an extra challenge – waterfalls EVERYWHERE! 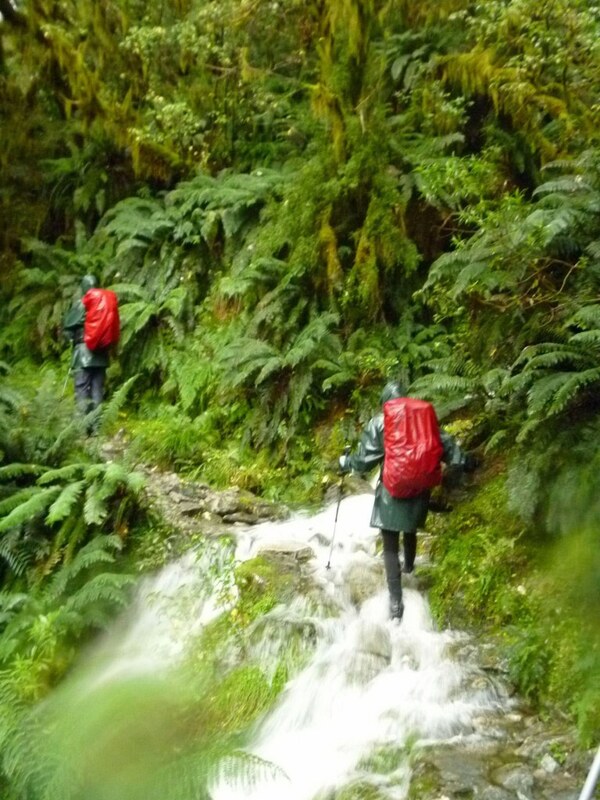 Waterproof shoes, as it turns out, are not waterfall proof. 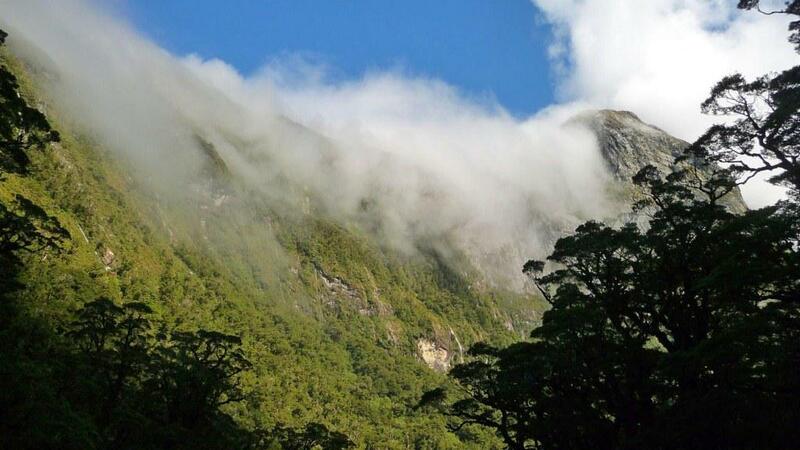 As you climbed above the tree line, you got a good appreciation for the area. 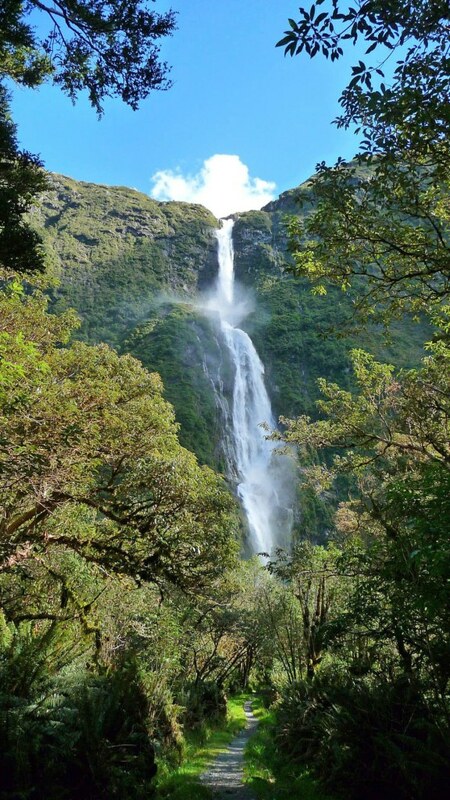 And could see dozens of waterfalls everywhere. 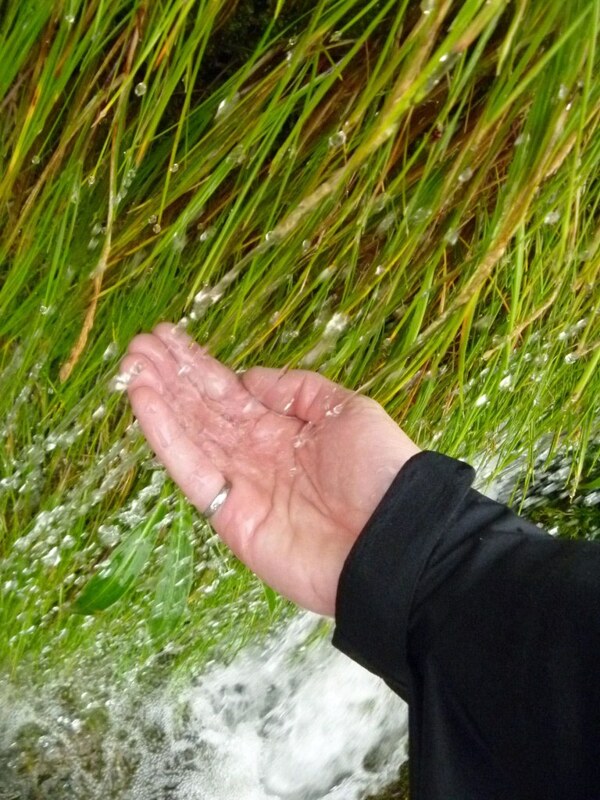 In some ways, the abundant water made the climb much easier. A water break was always just a few feet away. After two hours of climbing, I had reached the Pass. And the rain had stopped completely, so I could put away my waterproof camera and pull out my good camera! Which was a good thing, as the views were mesmerizing. 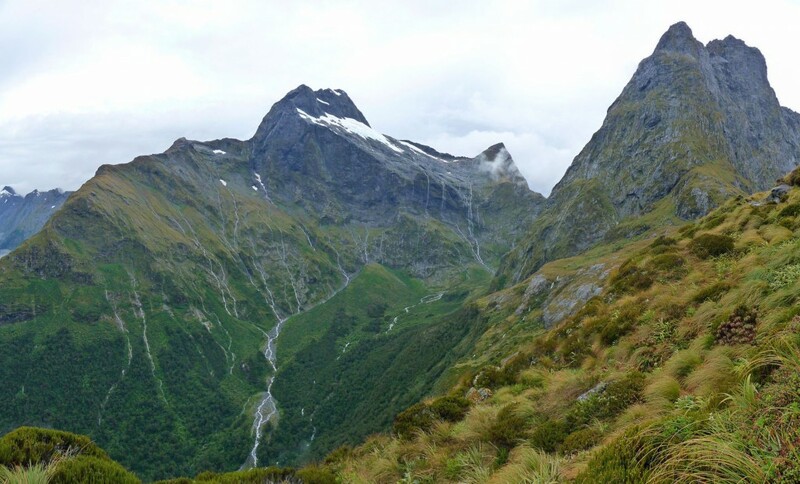 Crossing over to look down the Arthur Valley, you are left standing at a cliff, looking straight across the valley. Looking back at the Clinton Valley area. And at the Mackinnon Pass / Saddle itself. Yup, there are tarns here too. A good last look at the Clinton Valley, as I progressed across the Pass. 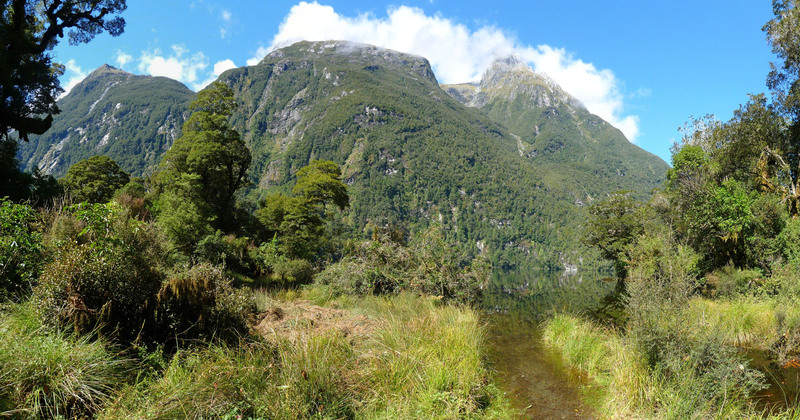 And to where I would be heading down after lunch, the Arthur Valley. 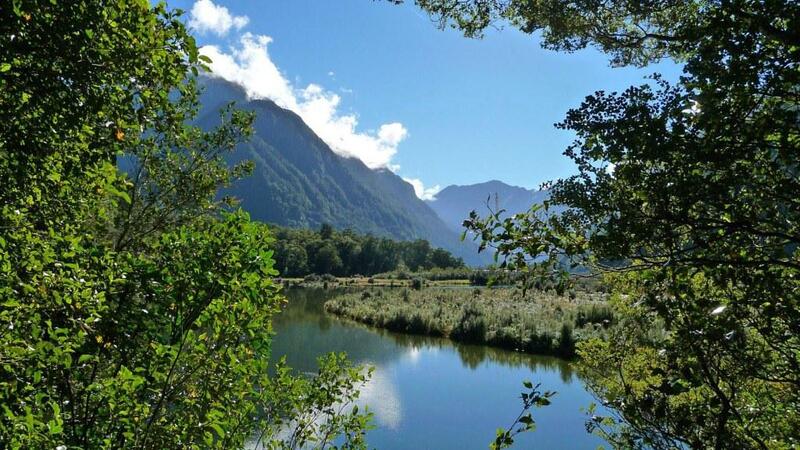 Another look at the Arthur Valley. 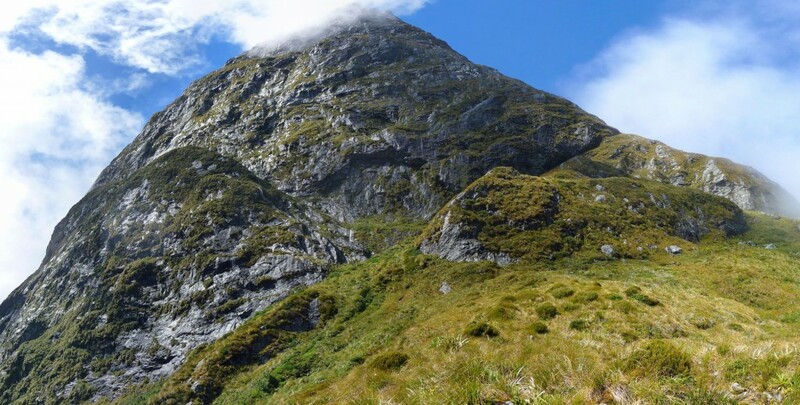 I didn’t know it at the time, but you skirt the large mountain to the right as you descend downwards. 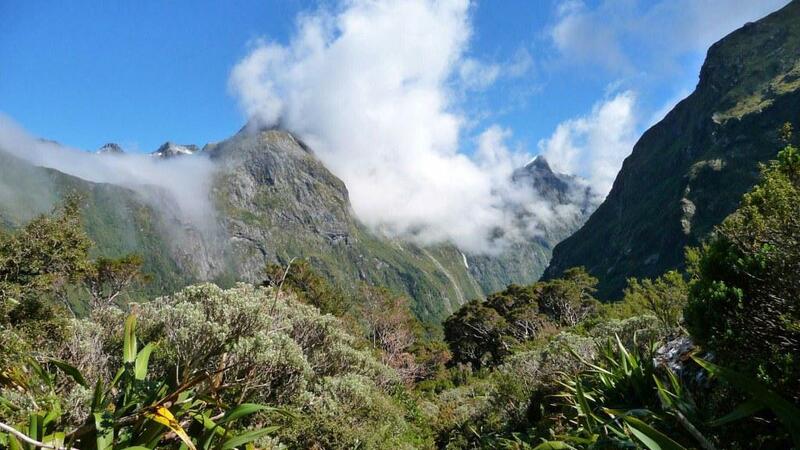 Being up above the treeline, this was Kea territory! This one was just hanging out on some rocks. Proof! 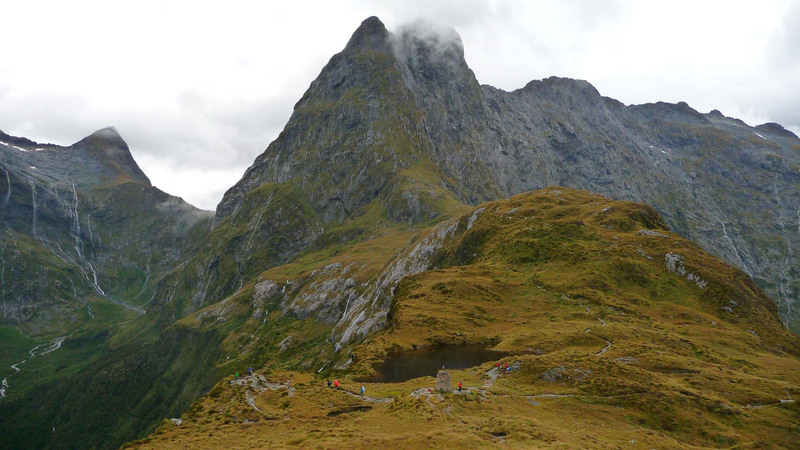 The highest point on the Milford Track, finished. It really is all downhill from here. One last look at the Saddle. You can start making out the lunch shelter in the distance. As I walked toward the shelter, the Clinton Valley disappeared. When I got to the shelter, I found a Kea in wait. 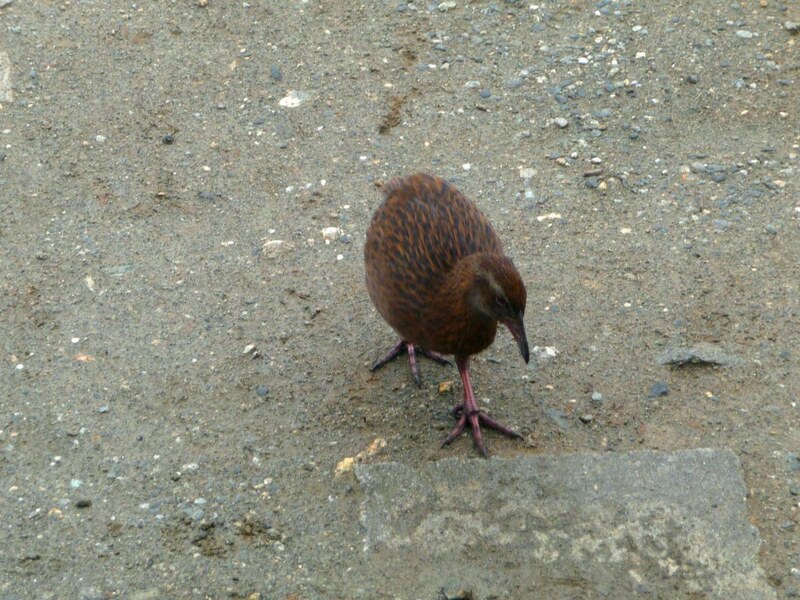 And a Weka! These are pretty funny little birds. 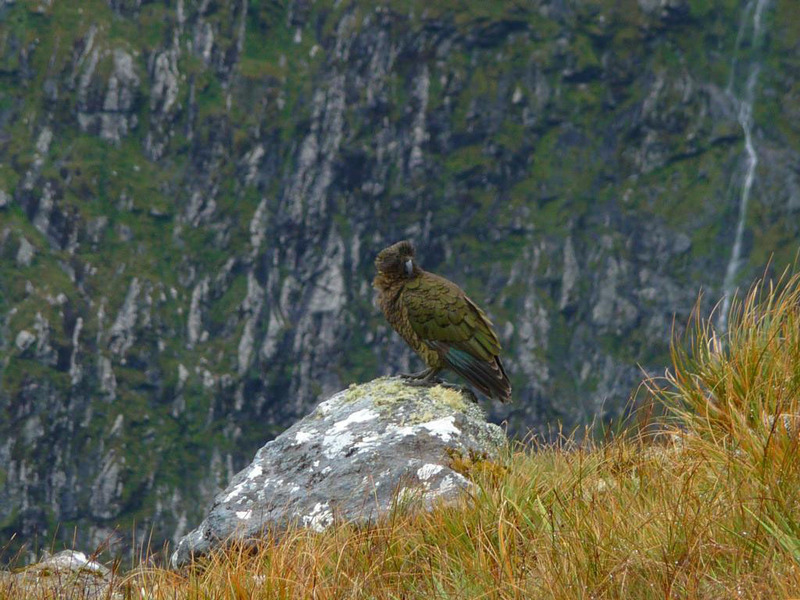 As the Hut Warden the night before mentioned, they think they are smart like the Kea, but they aren’t. 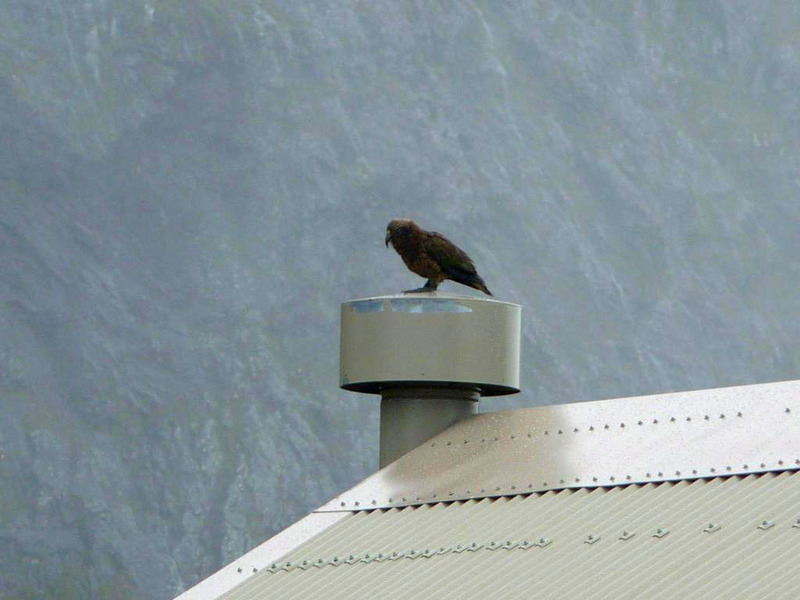 Still, they tend to be very curious and love stealing things, much akin to the Kea. I kicked up my feet in the hut and enjoyed my lunch. The sun was supposed to break through in an hour or so, and I had lots of time. After reading a bit, the sun just wasn’t coming out to play. 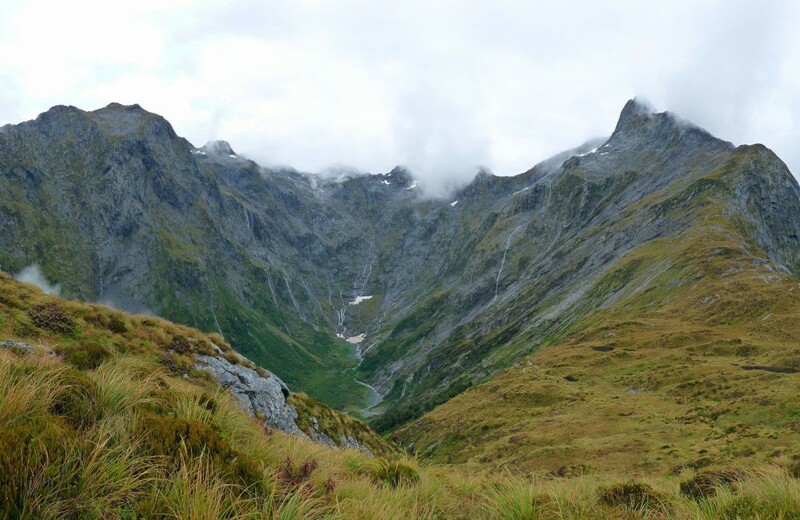 I got up and started the downward trek off the Pass. 5 minutes into my hiking, this happened. The sunshine I craved came back! I considered turning back, to see if the Pass was clearing up, but a look back indicated the clouds were still covering the pass. So I continued downwards and was rewarded with warmth. 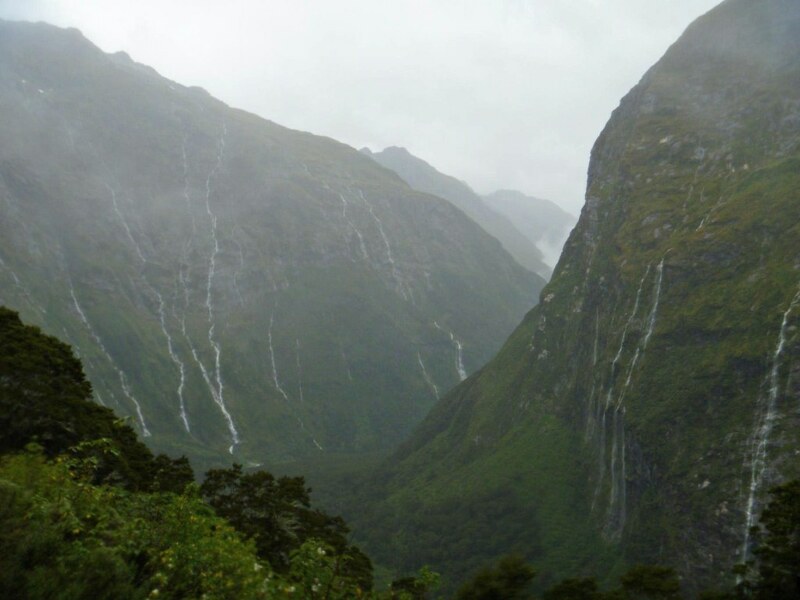 The rain had only stopped about 2 hours ago, so the track was still waterlogged in spots, and waterfalls still poured down off of cliffs everywhere. It really created a mesmerizing effect, especially when coupled with the now shining sun. 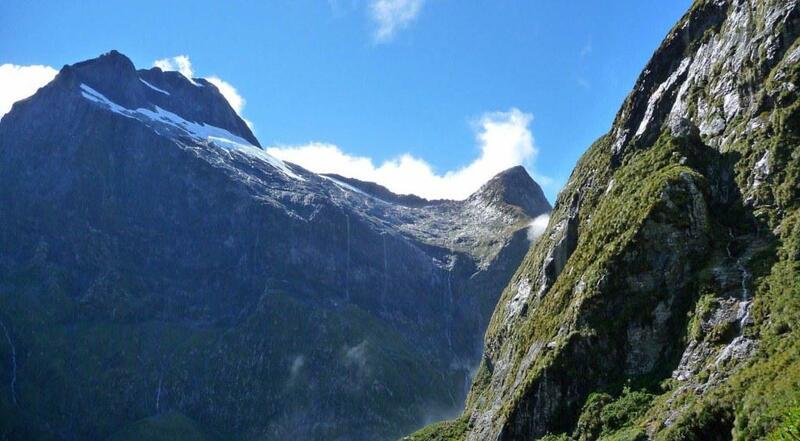 Having descended down the Arthur side quite a bit, the valley opened up in front of you. 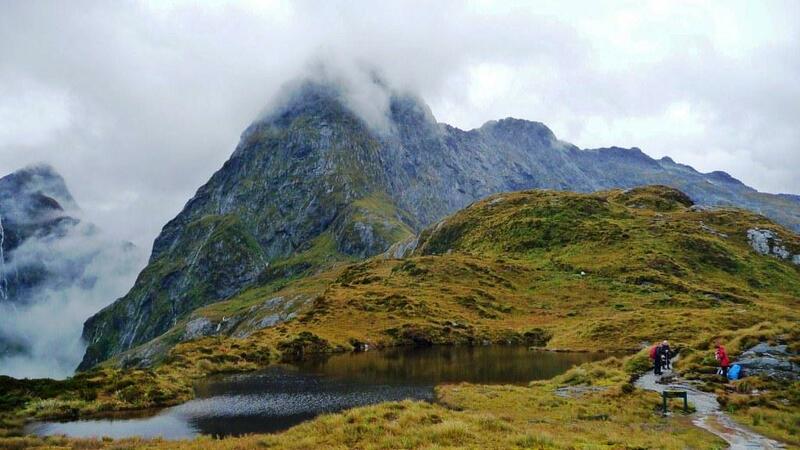 And on the left hand side, the MacKinnon Pass…still covered in cloud. I chose correctly it seems! Eventually, the trees started popping up, meaning the majority of the steep descent was complete. 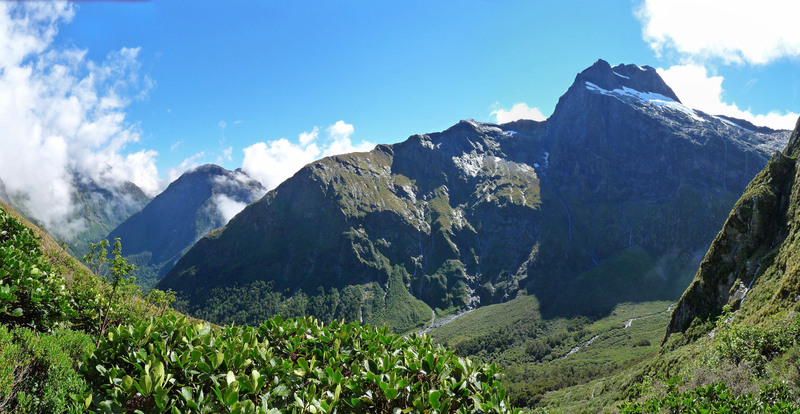 But even with tree cover, the peaks were still easy to spot. 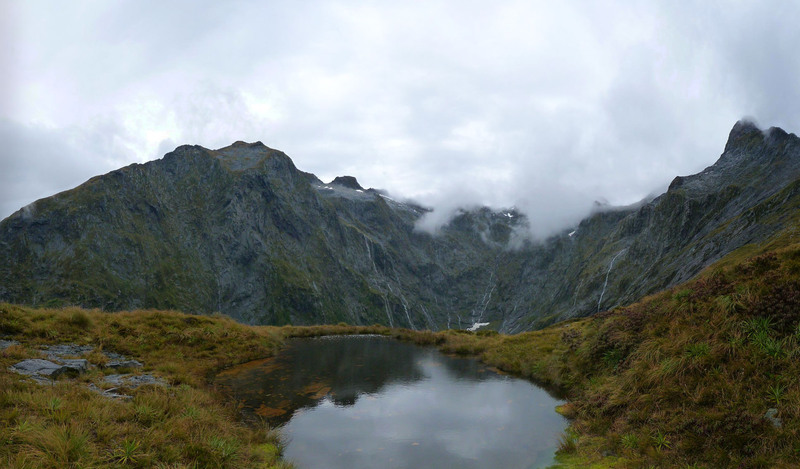 And from below, the clouds pouring off the Mackinnon Pass gave it the appearance of a massive waterfall. 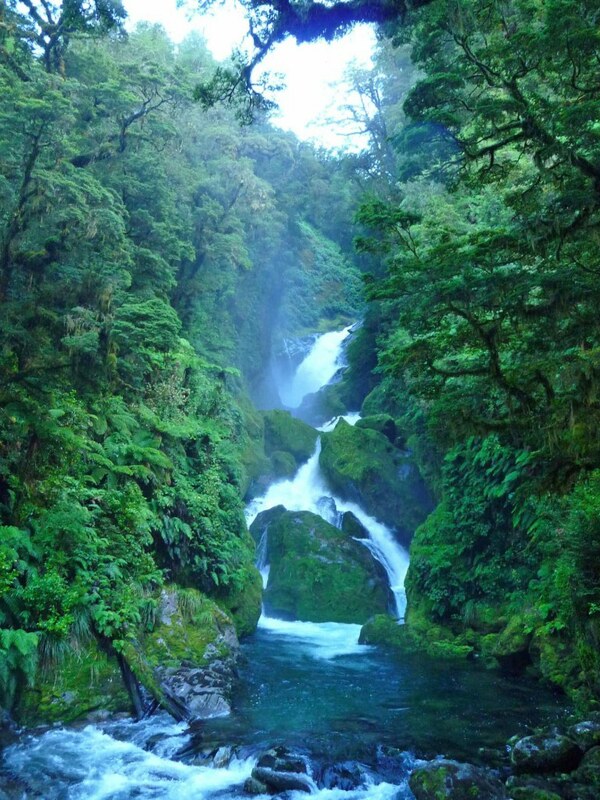 There were still numerous waterfalls to enjoy in their own right, but none could compare to what I’d be detouring to. 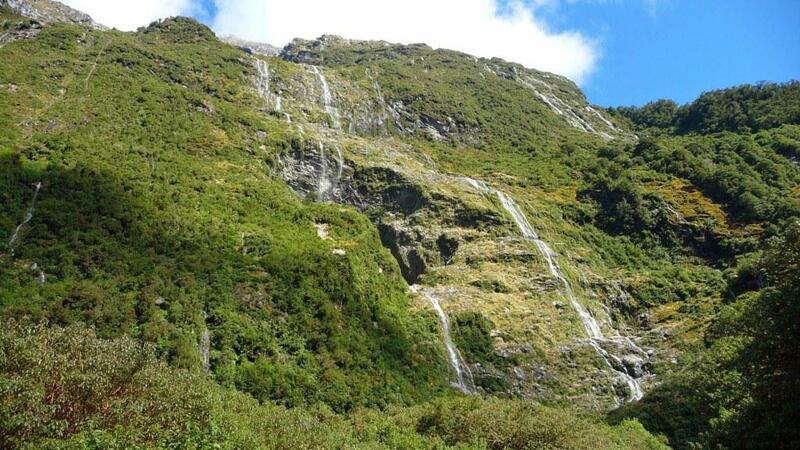 The Sutherland Falls, the highest waterfall in New Zealand and 5th highest in the WORLD. 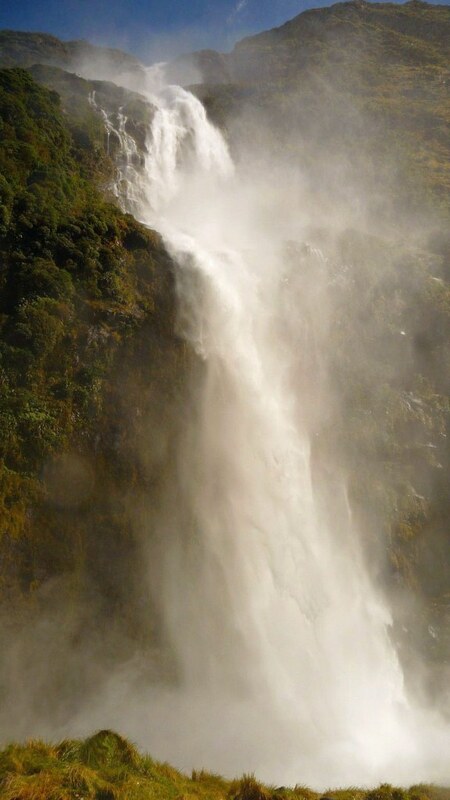 I do think they kind of cheat, having 3 jumps to the falls instead of one long waterfall. Still, mighty impressive. At this point, I was completely dry after having been good and wet from the rain. 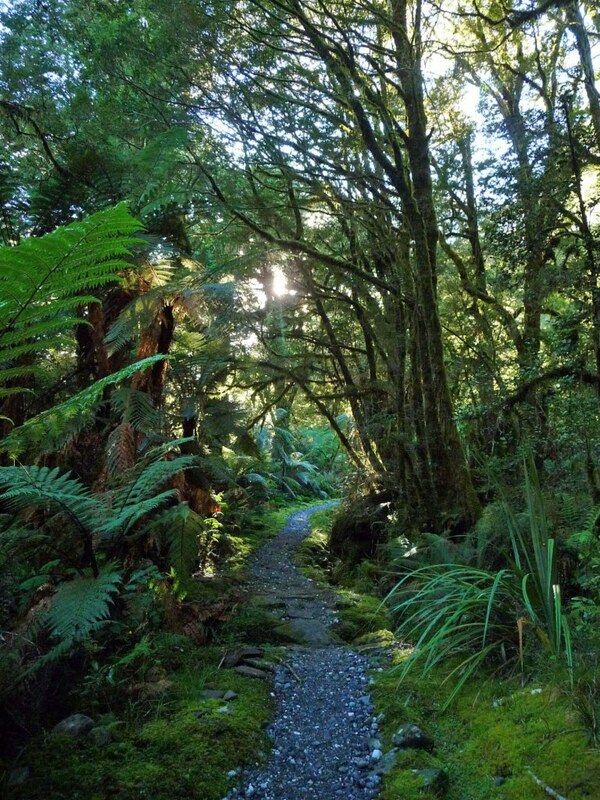 That all changed as I stepped out into the clearing of the Sutherland Falls. Drenched. But such a neat experience. The falls just roar here, and you can see where the water hits the ground and just fans out in all directions. 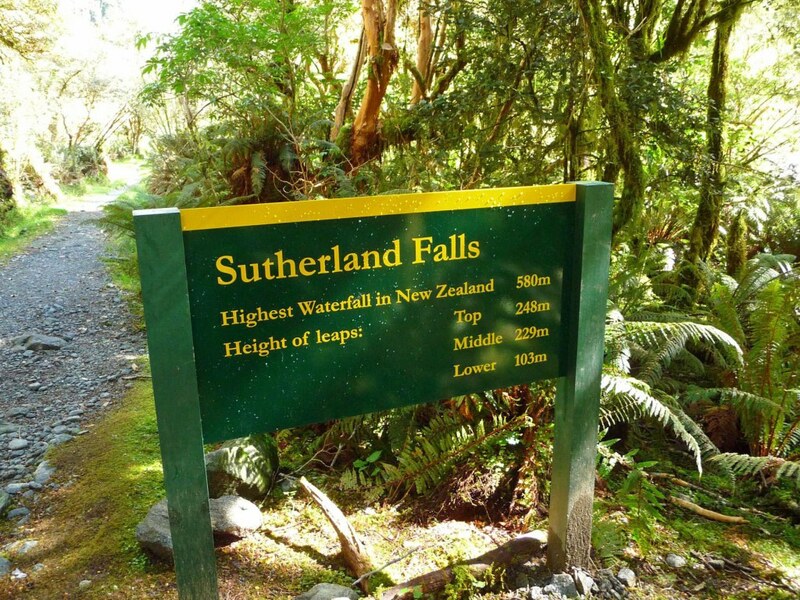 Back on the main track, if you don’t do the hour or so detour, you can still see the Sutherland Falls, just at a much greater distance. After all that, I arrived at Dumpling Hut tired and a bit sore, but very happy with the day. What would Day 4, the final day bring? More forest walking! I’m not complaining though, it was stellar forest scenery throughout. And again, there were plenty of clearings to drink in the views, along with the once again stellar weather. Couldn’t have asked for a nicer final day of hiking. 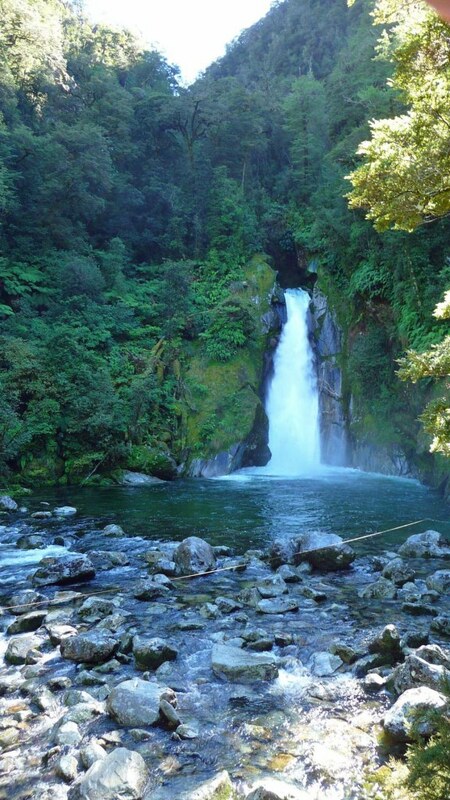 There are several things to watch for on the way to the boat launch area, including MacKay Falls, the second highest set of falls on the Milford. 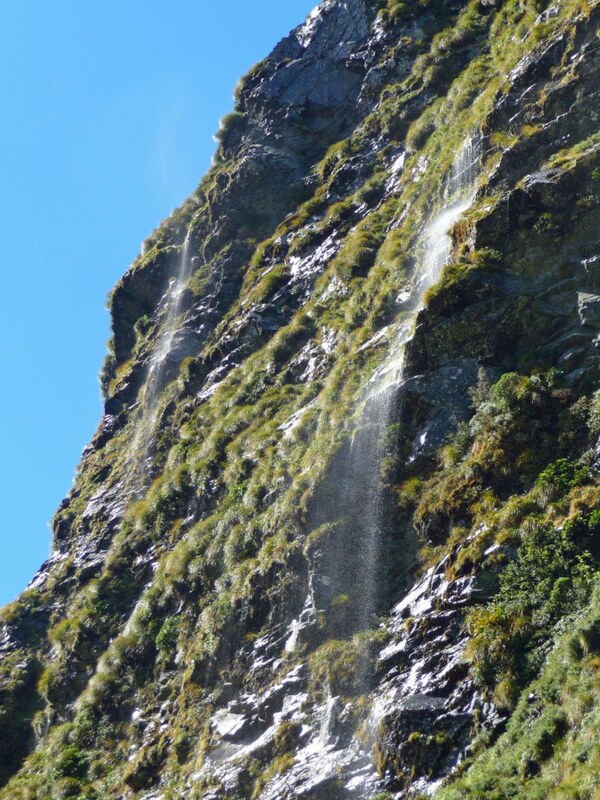 Right beside the MacKay Falls is the odd Bell Rock. 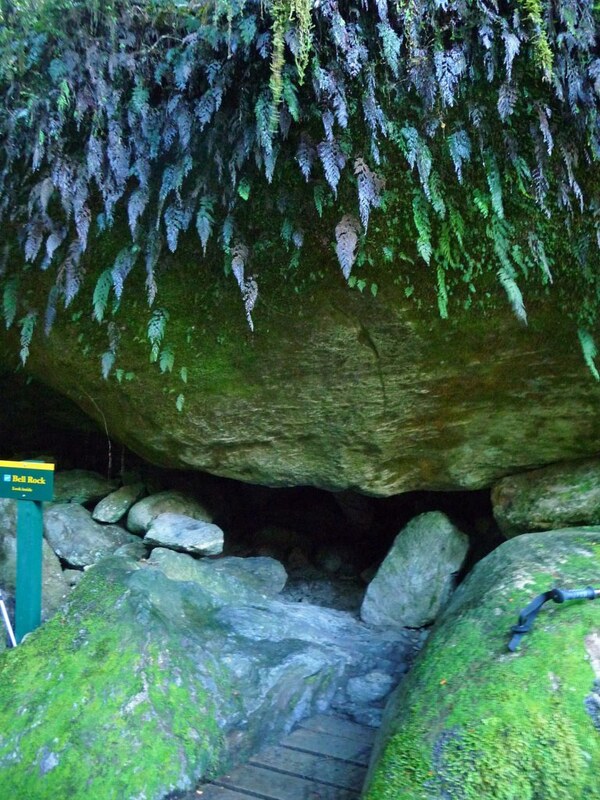 It looks like a typical boulder on the outside, but you can crawl under it…and then stand up inside the rock. There is a large, hollowed out section of the rock. Pretty weird. I didn’t spend too long standing in the rock though, I had a boat to catch. Still, it was a pretty leisurely stroll, my boat wasn’t until 3pm and my bus was at 5pm. The lunch area, near Giants Gate. Supposedly another good swimming spot, I didn’t see anyone volunteering here. Even with the sun, things were pretty cool in the shade. The river outflow from Giants Gate. 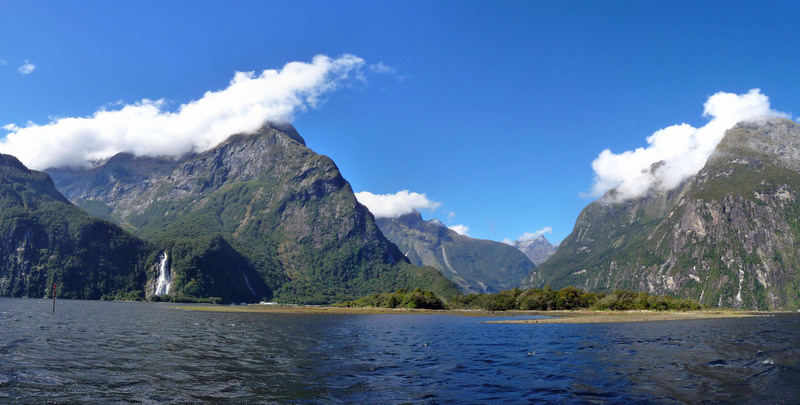 The end of Lake Alda, probably the last ‘highlight’ area of the Milford Sound. 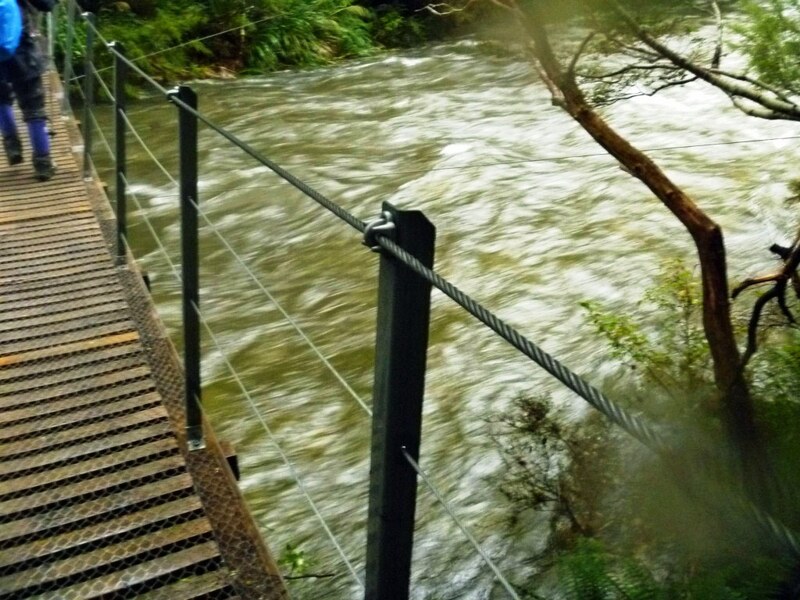 You follow the meandering Arthur River as it makes it’s way to sea. And done, 33.5 miles of hiking completed! Just in time too, I had about 10 minutes until the *2pm* boat left. Luckily, there is lots of room to take early people. 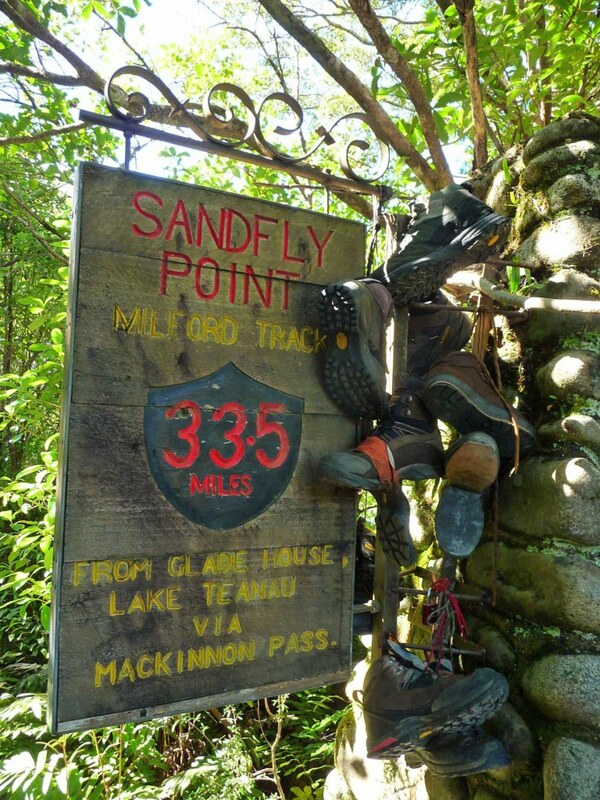 I didn’t really want to spend an hour at a place called ‘Sandfly Point’. 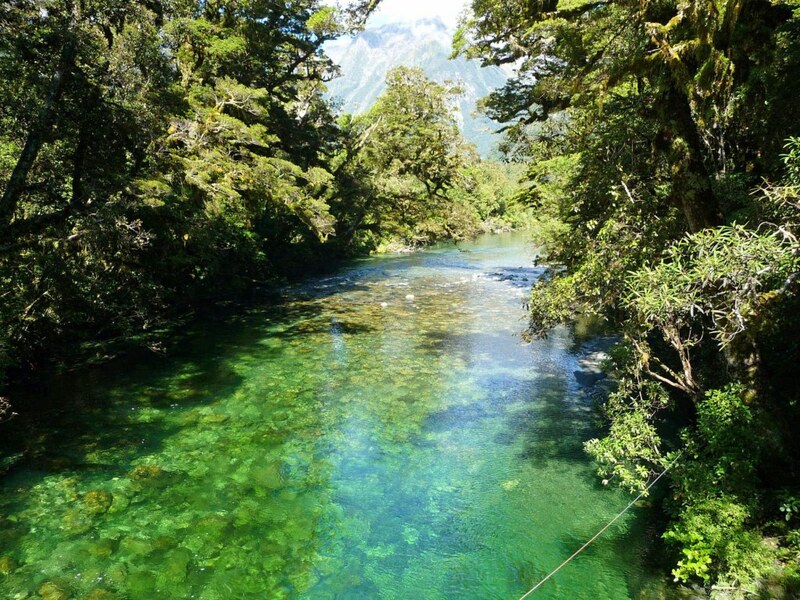 The boat comes up the Arthur River a little, so you start out still on fresh water. Kayakers at the mouth of the Arthur River. 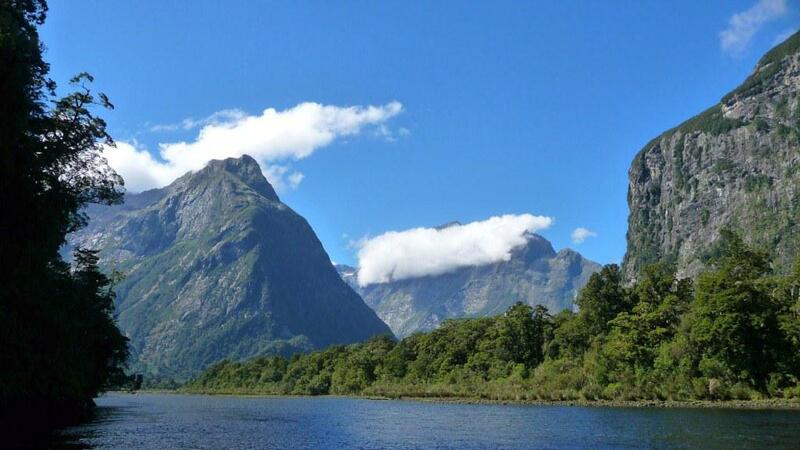 And then, you are in the Milford Sound. 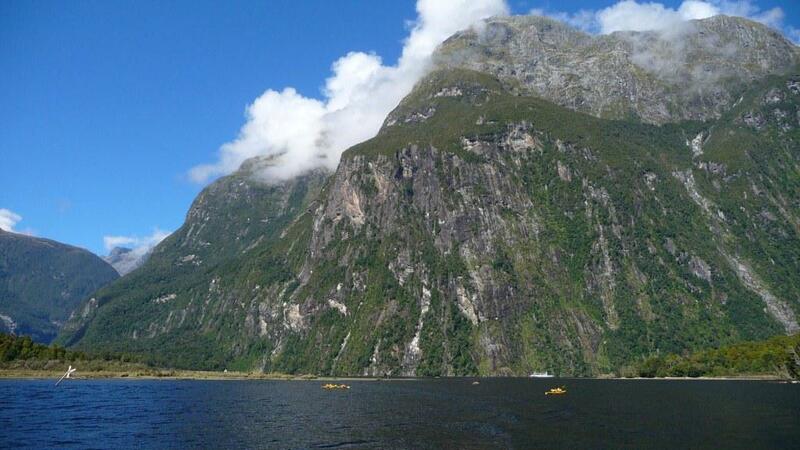 Not too shabby, ending up in probably one of the most scenic places in the world as the final of 4 days hiking. Even having been here 2 times prior, I’m still in awe of the area. 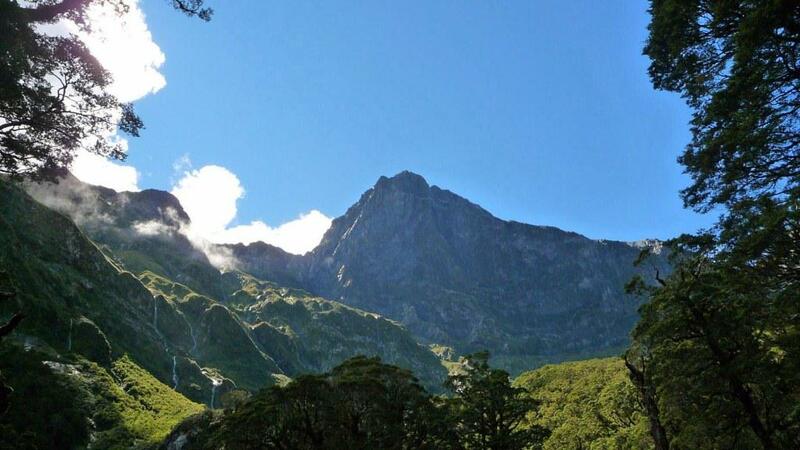 This entry was posted in Fiordland, Great Walks/Major Hikes, New Zealand, Travel by Colin. Bookmark the permalink. Thanks for posting all of these fantastic pics! 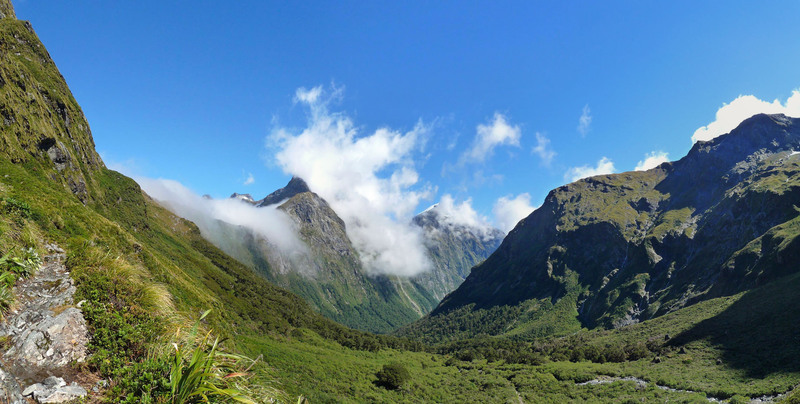 I am thinking about a hiking trip to New Zealand (from US), so this compare-contrast of Milford, Tongariro, and Routeburn are just the thing I’m looking for.